No I haven't hit my head and fallen in love with pink. I got in my new Colors by Llarowe Fall colors and HAD to wear Mercy. I figured why not just go all out and go pink. Bought myself my very first rake yesterday. Yes I've used many a rake, but never actually went out and bought myself one. Usually I borrow my neighbors, or I used to pay someone to clean up the leaves for me. Well, I went to Home Depot and was instantly smacked in the face by Christmas. Seriously? Can we please get through Halloween and October first? Do people really go out now and buy up Christmas trees and crap? If you do, there may be something wrong with you! HAHA! I just stopped and stared at the Christmas tree display and shook my head. I then realized that all I could smell was that smell of Christmas from the candles and incense they had out. It was a full on attack I tell you! I finally made it back to the garden center, which by this time of year is in a sad state of affairs. I found the rake display and realized I have no idea what to look for in a rake. I could easily see why the cheap ones wouldn't last through one season. Then I saw the plastic ones. I had no idea they made plastic ones. I've always used metal. One of the sales dudes asked me if I needed help and proceeded to tell me he owns and loves the plastic rake. Well, I'm sort of stuck in my ways and can't see myself loving the plastic rake. So instead of buying one, I bought two! One metal one and one plastic one. I figure I'll try them both and see what happens. I'll never have to buy a rake again since the metal one has a lifetime warranty. Now that's what I like. I keep getting closer and closer to being a real adult. Kind of scary ain't it? 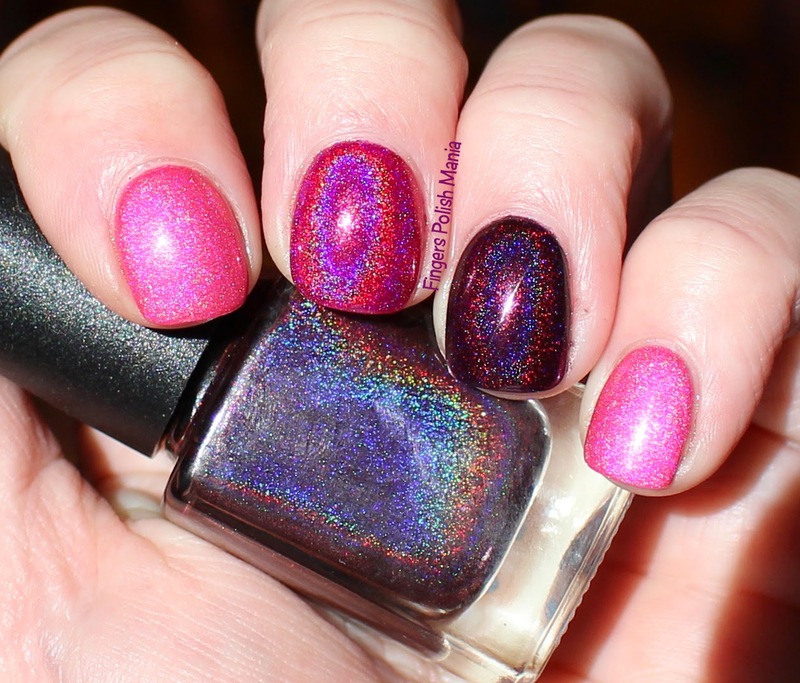 This is Liquid Sky Lacquer XTC, Anonymous Lacquer Ruby Baby We Miss You and Colors by Llarowe Mercy. 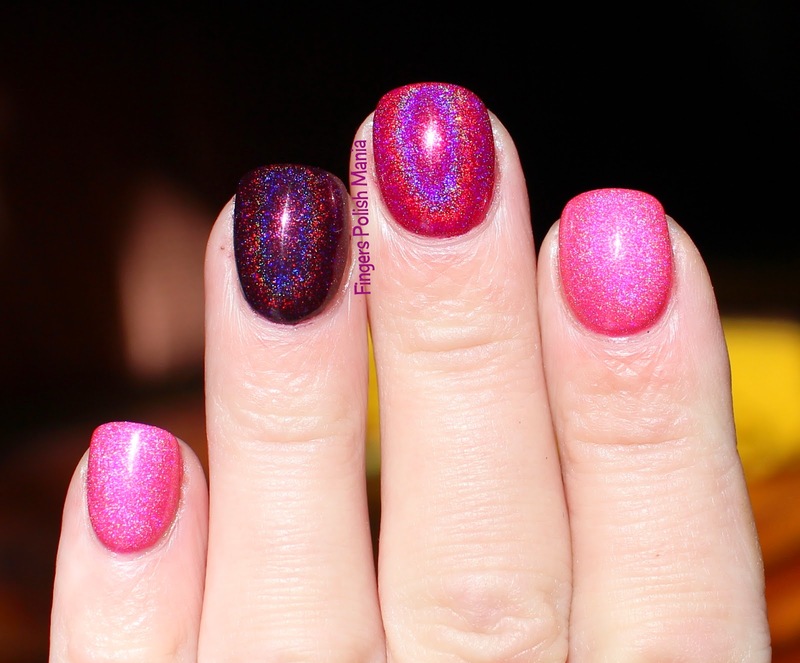 Oh how I need to wear a full mani with Mercy! 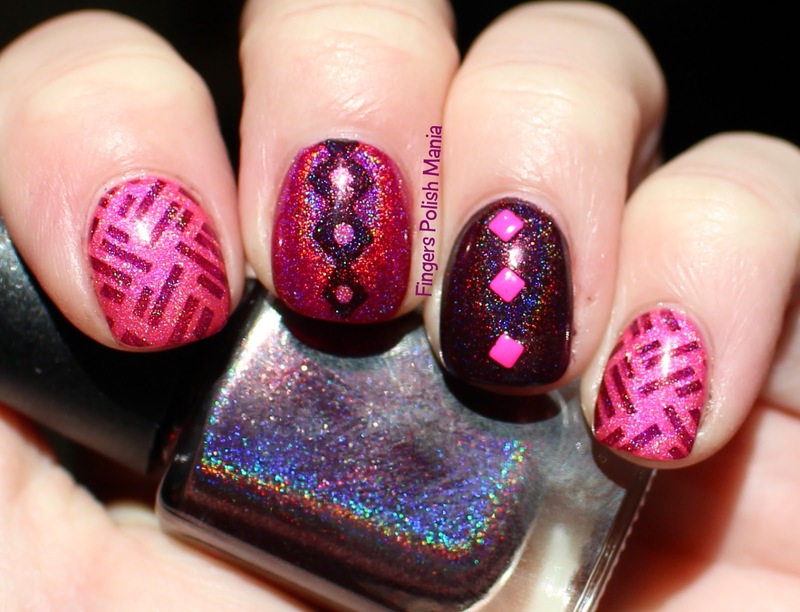 WOW these middle holos are gorgeous and rainbowy! XTC is a scattered holo. 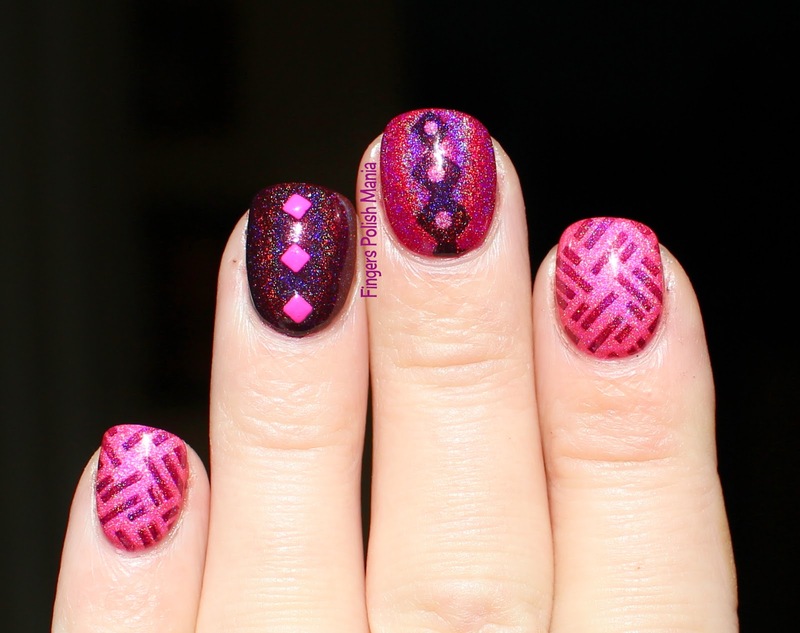 Next I stamped using Cici&Sisi plate 6 and used my nail vinyls and some studs. Here are the cool results. So love how this came out! Enjoy this you pink lovers out there!